This view of the back side of the Moon was captured by the Apollo 16 mission crew. The sixth manned lunar landing mission, the Apollo 16 (SA-511), carrying three astronauts: Mission Commander John W. Young, Command Module pilot Thomas K. Mattingly II, and Lunar Module pilot Charles M. Duke, lifted off on April 16, 1972. The Apollo 16 continued the broad-scale geological, geochemical, and geophysical mapping of the Moon's crust, begun by the Apollo 15, from lunar orbit. 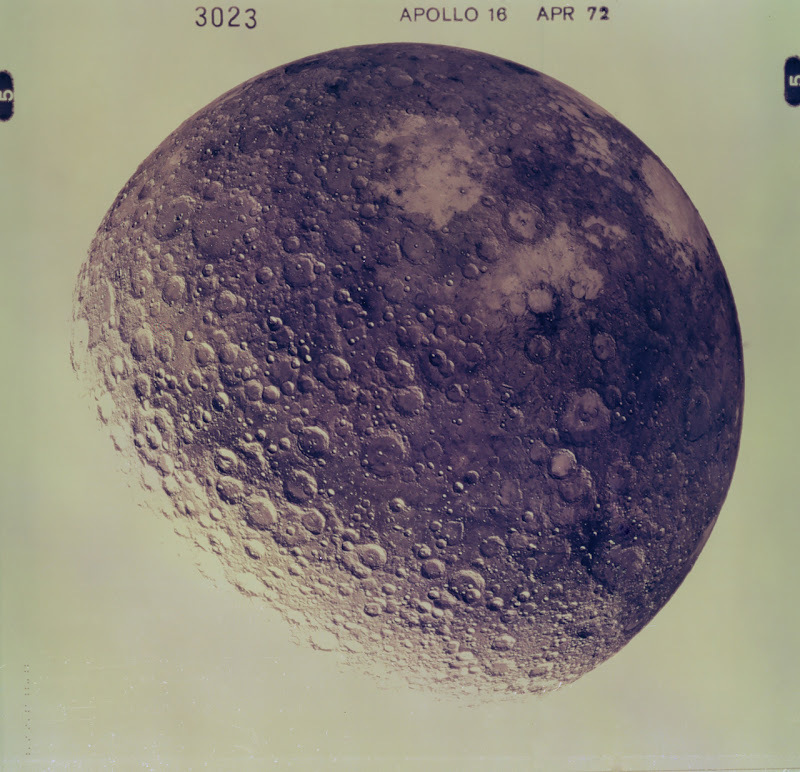 This mission marked the first use of the Moon as an astronomical observatory by using the ultraviolet camera/spectrograph which photographed ultraviolet light emitted by Earth and other celestial objects. The Lunar Roving Vehicle, developed by the Marshall Space Flight Center, was also used. The mission ended on April 27, 1972.